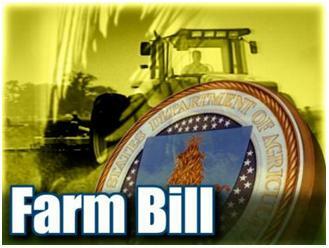 What green groups expecting from 2012 Farm Bill? Similar to so many legislative policies currently passed by Washington, D.C, Green groups are mixed on decision of farm bill and towards its way to vote in senate floor. There are some of the conversation bright spotted in the bill, but question to be answered is; Are there enough and do they go far enough? The nonprofit group, EWG things that unfortunately the bill would not as much good as the harm it would be. Craig Cox, an agriculture and natural resources expert at Environmental working Group (EWG) that it sacrifices conversational needlessly and feeding the assistance program to finance unlimited insurance subsidies, a new entitlement program for highly profitable farm businesses. On the conservation side, Cox is dismayed that the draft bill fails to address “the impact of fence-row to fence-row agricultural production, which is putting unprecedented pressure on our land, water and wildlife.” EWG would like to see the bill include language forcing farmers to protect critical wetlands and grasslands, not to mention soil health in general, in exchange for getting the insurance subsidies. “In combination, a new entitlement program, unlimited secret insurance subsidies, cuts to conservation programs and high commodity prices will create powerful incentives to plow up fragile wetlands and grasslands and erase many of the environmental gains made by agriculture in recent years,” says Cox. On the plus side, Cox applauds provisions in the bill that creates and expands programs supporting healthy diets and organic farmers, as well as those that seek to expand links between local farmers and consumers. “We also support efforts to reform conservation programs to get more conservation bang for the buck,” he concludes, adding that EWG hopes to work with legislators on strengthening the bill’s conservation and nutrition provisions, and to place sensible limits on subsidies for highly-profitable farms. Another respected non-profit, American Farmland Trust (AFT), is more bullish overall on the Senate’s draft of the 2012 Farm Bill. The group likes the fact that funding for conservation programs is maintained at all, given the sour economic climate and resistance to put funds into non-emergency programs. 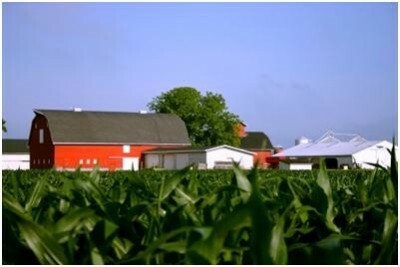 AFT also praises the bill for its commitment to support farm and ranch land protection through a new permanent Agricultural Land Easement option which will help protect working lands and keep them in agricultural use.